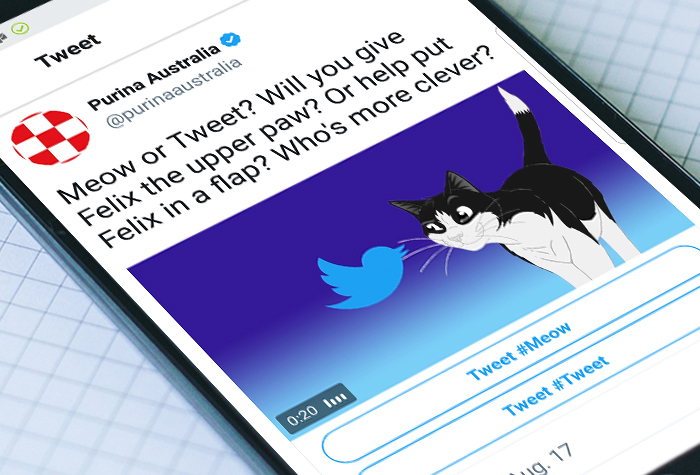 Powered by a conversational video ad on Twitter, people’s choices on the social platform are reflected in the on-screen behaviour of the two brand’s characters. 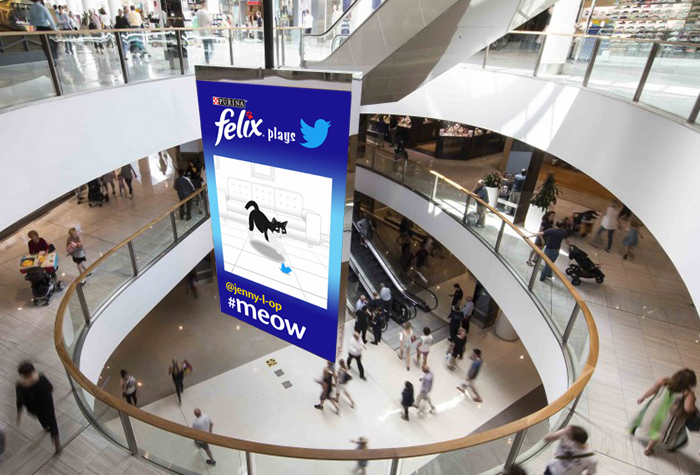 We see Felix stalking up to pounce on the Twitter bird, and the Twitter bird swooping and diving over a submissive Felix. 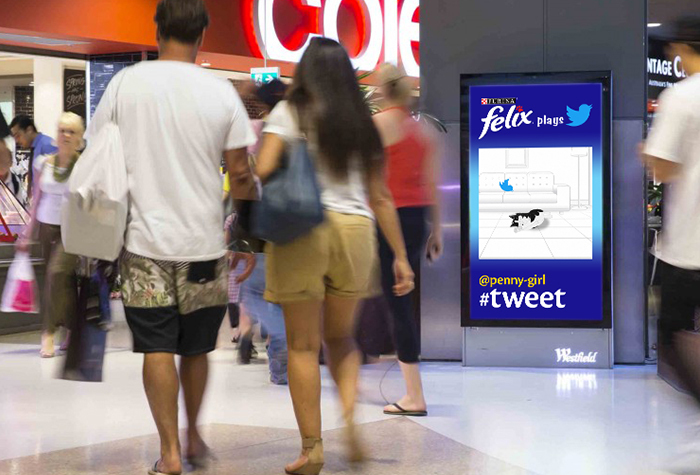 The digital out-of-home campaign is appearing in Westfield shopping centres across NSW, Victoria and Queensland. To maximise engagement, the Twitter media is flighted to match Westfield’s opening hours, when the screens are live.